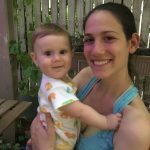 Prenatal Yoga Center | Mom of Month: Meet Bridget Tichar! 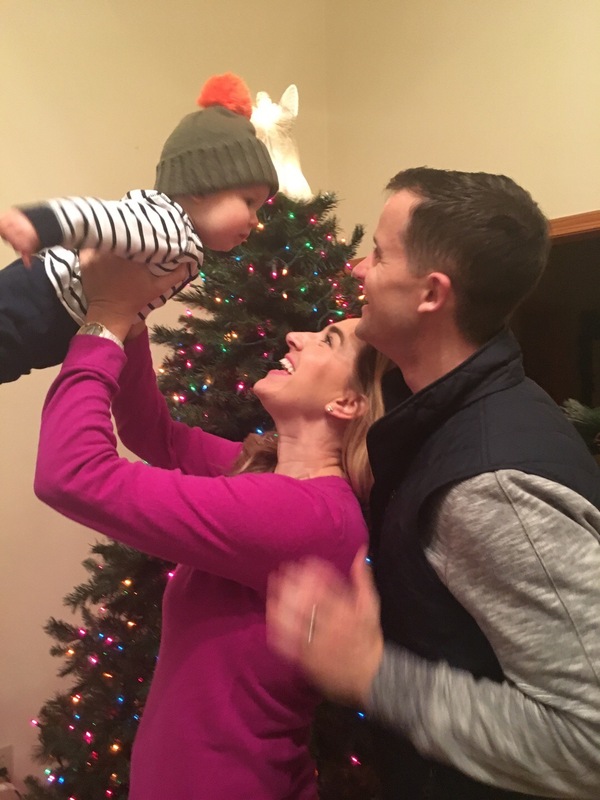 Mom of Month: Meet Bridget Tichar! What has surprised you most about motherhood thus far? I’m most surprised with how many other moms are now my friends! The commonality of going through pregnancy, labor, birth, and raising a child is such a unifying experience that I instantly have a connection with so many women. Once that friendship door is opened from asking questions about cravings, due dates, and sleep schedules, it’s easy to walk through and then form a deeper relationship. What is one of the most important pieces of advice you feel you can impart to a new mom? The most important piece of advice I’d give to a new mom is to practice patience. I wish someone told me that around the nine-week mark, a switch seems to be flicked in your baby and they suddenly start to respond and engage you. They laugh and smile at your silly voices and jokes; it seems as if they finally become human. Weeks one through eight would have been much easier if I had known that there was this imaginary finish line and reward to bonding with my baby. How did your prenatal yoga practice help you with labor and delivery? My labor was almost three days long, so prenatal yoga came into practice a lot. I used movement to cope with the contractions while I labored at home and I used two mantras at very difficult times. The movement acted as a physical way of passing the time and feeling in control of the situation while the mantras were a mental coping mechanism. Additionally, prenatal yoga helped me substantially while recovering. On my hospital bed, I was on all fours doing cat/cows and hip circles to stretch my lower back. 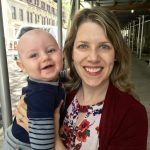 I was on my back during labor and delivery for so long that any opposite position felt helpful. What does PYC mean to you? To me, PYC means identity. I’ve been a competitive athlete my whole life and during pregnancy my body didn’t look or move the way I had worked on it to look and move my entire life. 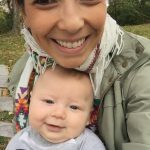 PYC helped me to see that my body was capable of moving in grand gestures and unique postures while simultaneously growing a human. It shaped a positive mindset and a positive body image while meeting other moms and making new friends. My best friends are now moms that I met at PYC.